A man who hurled a burning molotov cocktail then took a woman hostage at a major German railway station Monday may have acted with a "terrorist" motive, police said. 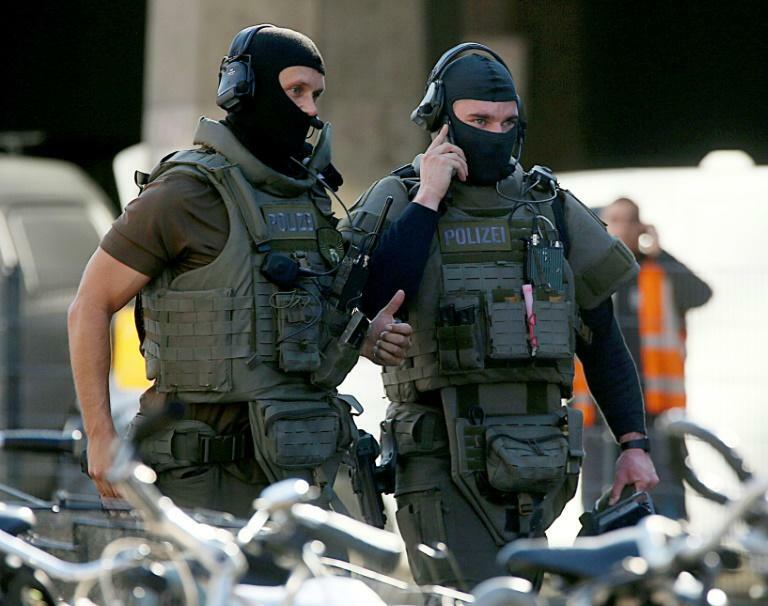 "The investigation is considering all possibilities and we are not ruling out terrorism," Cologne deputy police chief Miriam Brauns told a news conference. Authorities had received an alert at 12:42 local time (1042 GMT) at Cologne railway station, one of the busiest in Europe. They evacuated the scene and halted all trains at the station next to Cologne's iconic twin-spired cathedral. The man sparked panic when he entered a McDonald's restaurant inside the station and hurled a molotov cocktail, leaving a 14-year-old girl with burns. An eyewitness told journalists how she heard screams and saw "a girl running for her life" with flames spreading up her leg, before she was helped by bystanders. The man was holding a pistol -- said to be either a replica or real, when commandos stormed the site, and he was also in possession of a flammable liquid and camping gas containers, two of them taped together. "Special response units overpowered the man. During the police action he hurt two bystanders, one of them seriously," police said in a statement. Klaus-Stephan Becker, head of Cologne criminal police, also told news channel NTV that "it could be a foiled terrorist attack". The man had carried a suitcase and bag, which he left in the restaurant, and had also demanded "the release of a Tunisian woman", said police commander Klaus Rueschenschmidt, without giving further details.